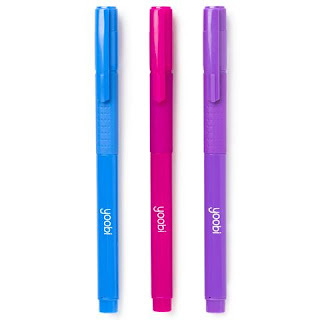 Color code your planner or notes with one of our multicolor mini gel pens. With 12 options to choose from, you can change color simultaneously with your mood. Glitter and neon gel give a trendy vibe to any piece of paper, regardless of the content. 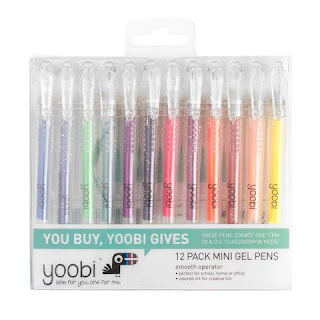 Head back to school with Yoobi Gel Pens and make note taking fun + help a classroom in need! I definitely remember the days of note taking in class and how much I dreaded it. Trying to keep up, writing all the important things, keeping my notes organized and the dreaded hand cramping, it was all incredibly not fun! 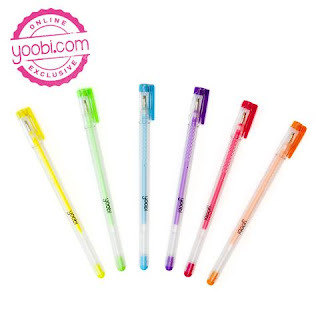 With Yoobi Gel Pens you can make note taking fun! 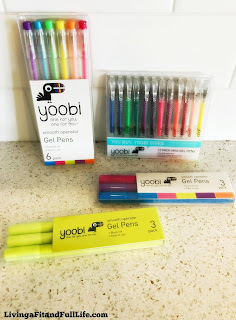 Yoobi Gel Pens come in many different colors which not only make note taking fun, but they also help to keep your notes organized. 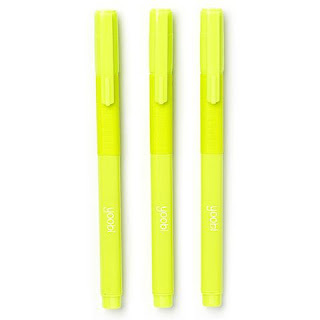 The ink comes out incredibly smoothly allowing your writing to flow with ease helping you to not only keep up, but also alleviate hand cramping. Yoobi Gel Pens are my new favorite way to take notes! Another thing to love about Yoobi is that For every Yoobi item you purchase, a Yoobi item will be donated to a classroom in need, right here in the U.S..
For every Yoobi item you purchase, a Yoobi item will be donated to a classroom in need, right here in the U.S.